Updated information on the extended stability of short supply parenteral drugs, published by the American Society of Health-System Pharmacists. Stability data for many parenteral drugs beyond 24 hours are often difficult to find in the published literature. This has been a complicating factor in the care of patients being treated outside the hospital environment. When home infusion therapy emerged and grew in the 1980s and 1990s, accurate information on extended stability of compounded injections was very limited. Pharmacists were challenged to find drug stability data that supported realistic and cost-effective compounding and delivery schedules to patients’ homes. Some commercial infusion companies put considerable resources into the task of compiling drug stability information to support their own operational and patient care services by employing full-time drug information specialists to support clinicians in the field. The highly competitive nature of the home infusion industry also led to the development of unpublished drug stability data, based on independent studies undertaken by large home infusion companies. More recently, high-cost parenteral drugs and drug shortages have forced practitioners to consider the need for extended beyond-use dating in order to limit wastage of these expensive or ‘short supply’ drugs. 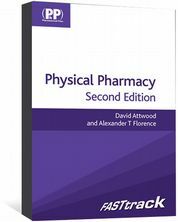 This book comprises 165 monographs, including 11 new to this edition. Each monograph represents a drug for which some extended stability information for the compounded injection is available. 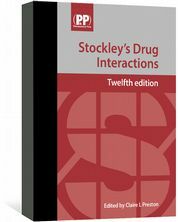 The monographs selected include most of the anti-infective agents, several monoclonal antibodies and other parenteral drugs for which useful extended stability data are available. They cite most extended stability data available at the time of publication. Many of the monographs are referenced by well-known sources, such as the Handbook on Injectable Drugs. Additional references and sources include previously unpublished data for specific types of infusion devices and containers, direct communications from drug and device manufacturers, and a focused review of previously published data from practitioners. The monographs are presented alphabetically by generic name. Stability data for the drugs in various containers, solutions, concentrations, temperature, storage and administration conditions are included. Practitioners who are unfamiliar with this book and the principles of extended stability should begin by reading the first chapter, ‘Applying stability data in patient care’. This introduction covers a wide range of topics including duration of therapy, vascular access, administration methods, infusion devices and drug delivery systems, together with basic information on osmolarity, pH and temperature. The practices and integrity of pharmacists who compound sterile preparations have been under great scrutiny recently, particularly in the United States. Regulators, the United States Pharmacopeial Convention (USP, which publishes General Chapter <800> — standards for the safe handling of hazardous drugs), pharmacy boards and the public at large are aware of the issues, and expect pharmacists to be diligent and professional in this area of work. This book will assist in ensuring that the quality standards of compounded parenteral drugs are met. It will be a useful additional reference source to those healthcare professionals involved in the preparation or administration of ready-to-use or ready-to-administer parenteral drugs.